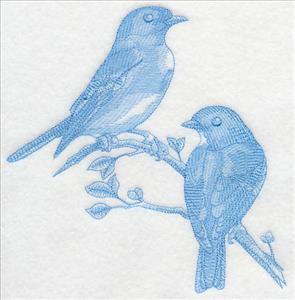 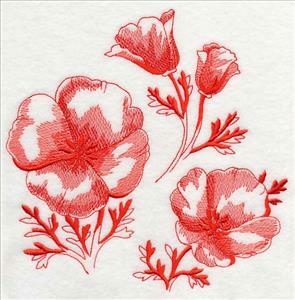 Stitch up an embroidery project in no time with one of these light and airy toile designs! 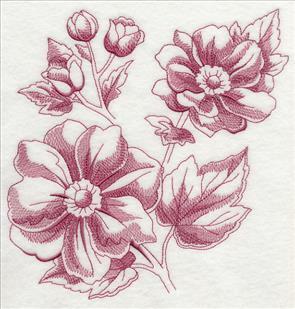 Toile features light stitches and open areas that allow the fabric to show through, which means they're an excellent choice for smooth, neutral fabrics, like quilter's cotton, linen, tea towels, and more. 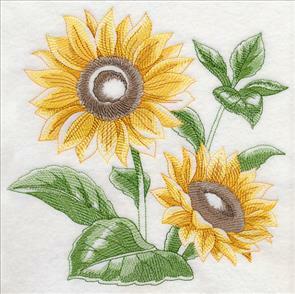 Each of these new designs is a quick-stitching option for your embroidery! 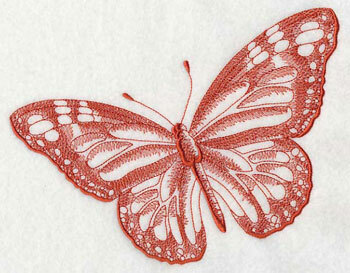 The new designs feature a variety of themes, including flowers, butterflies, French motifs, and more! 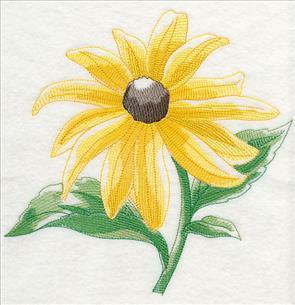 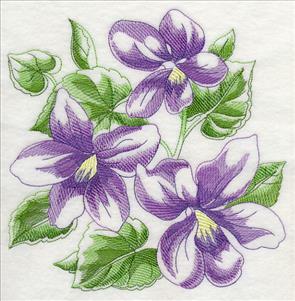 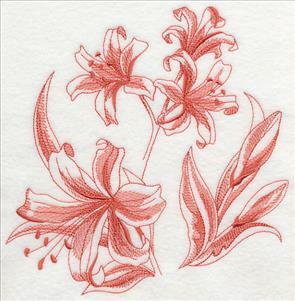 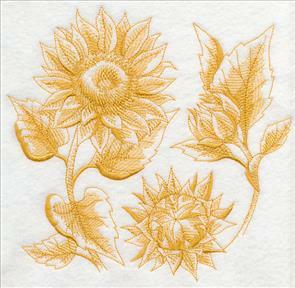 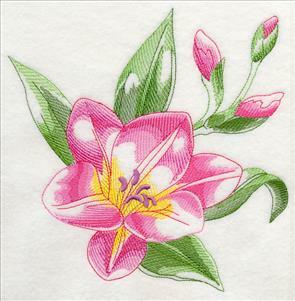 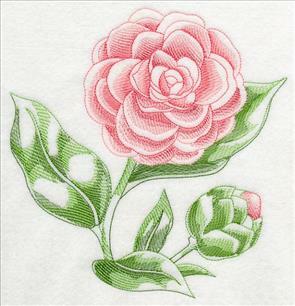 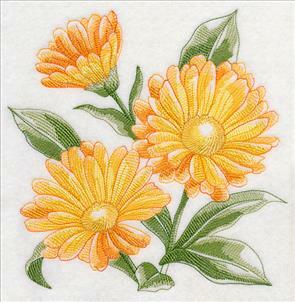 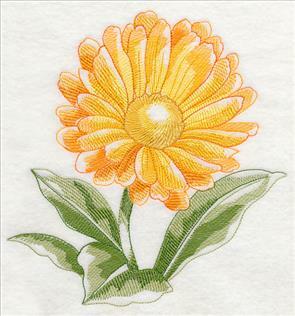 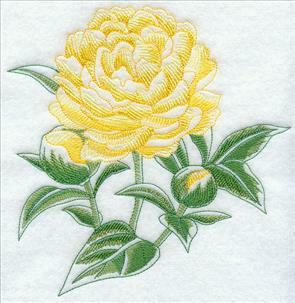 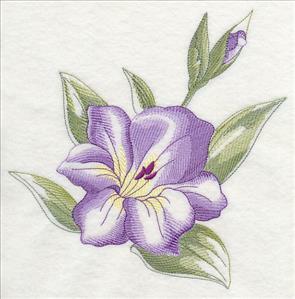 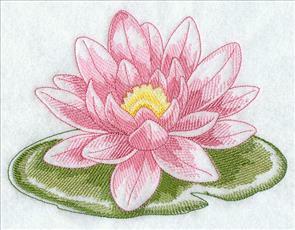 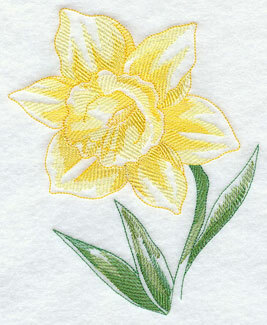 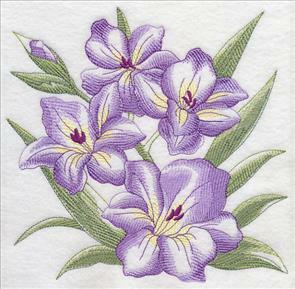 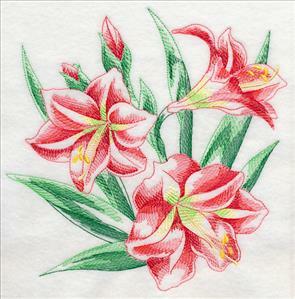 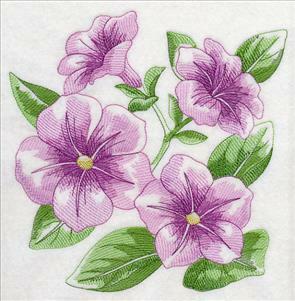 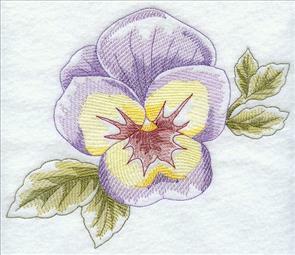 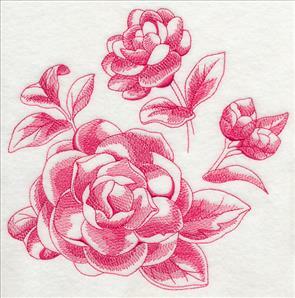 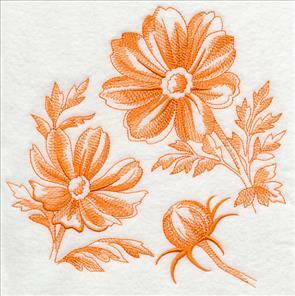 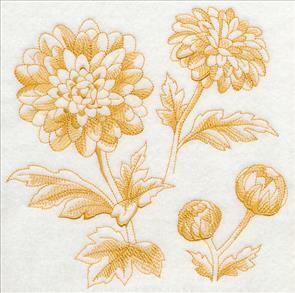 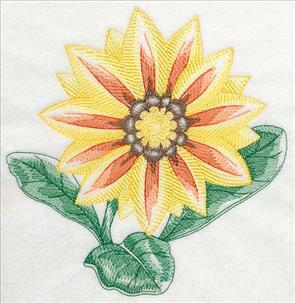 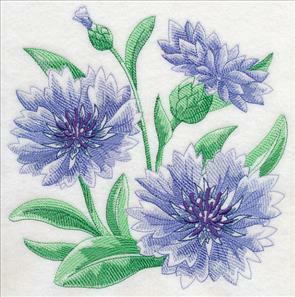 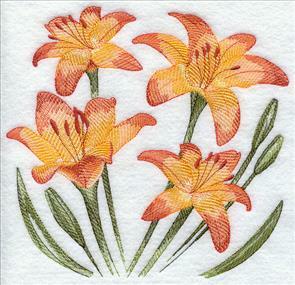 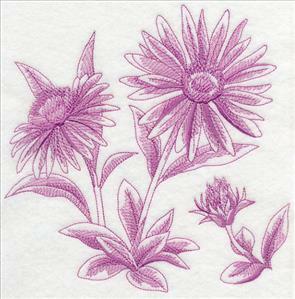 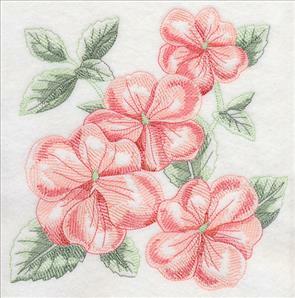 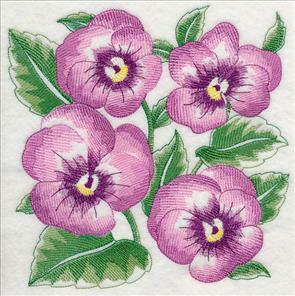 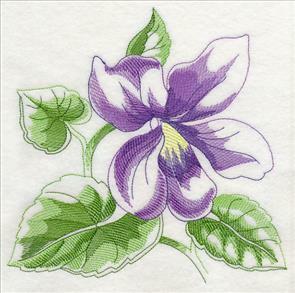 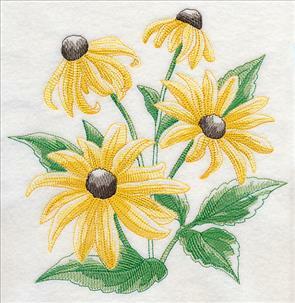 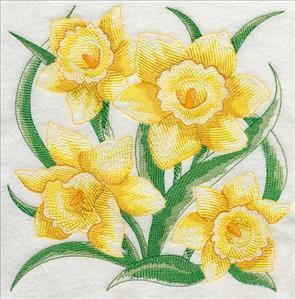 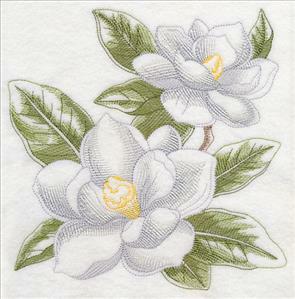 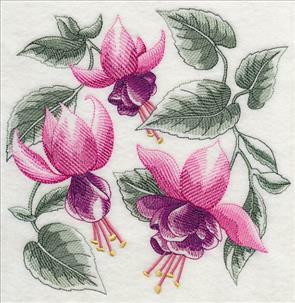 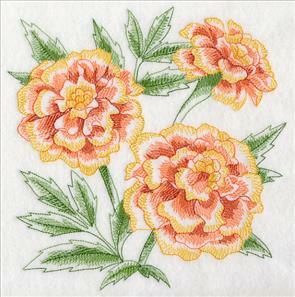 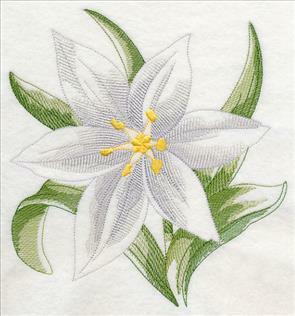 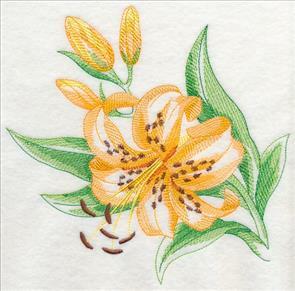 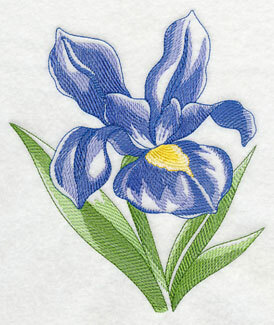 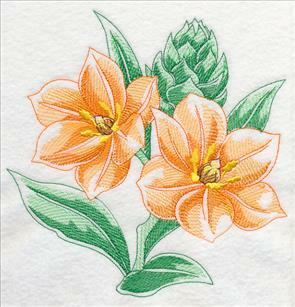 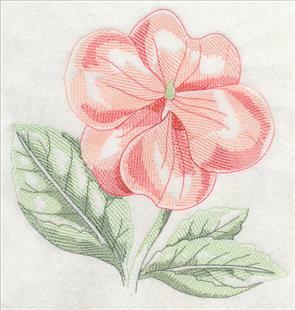 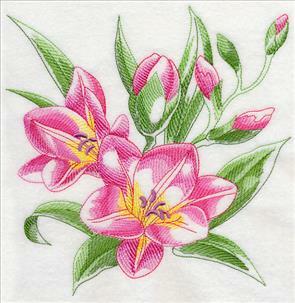 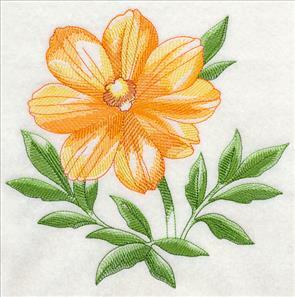 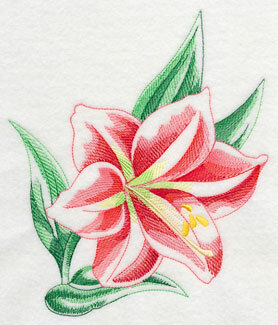 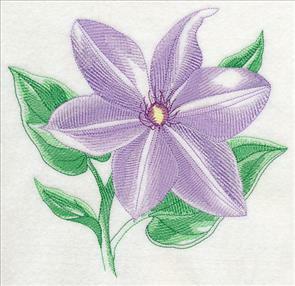 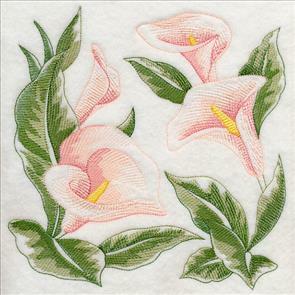 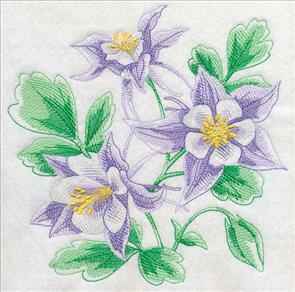 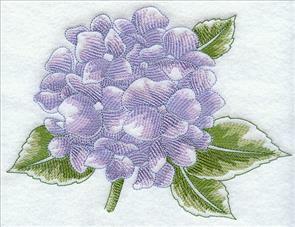 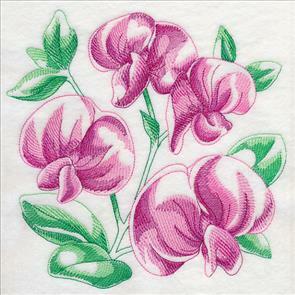 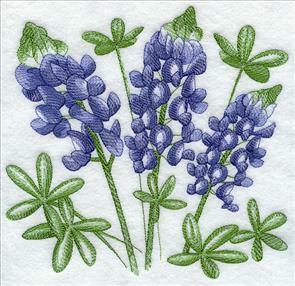 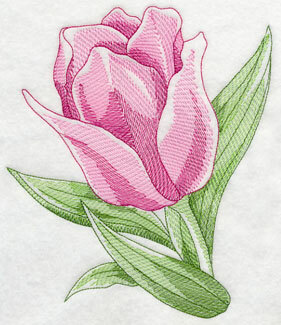 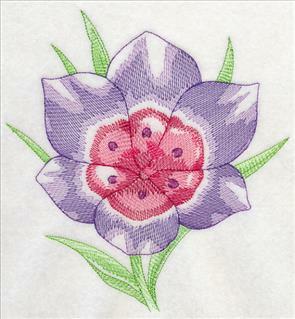 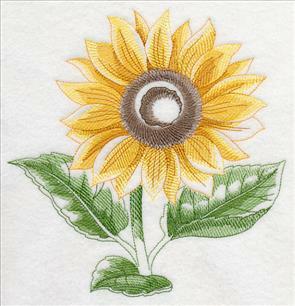 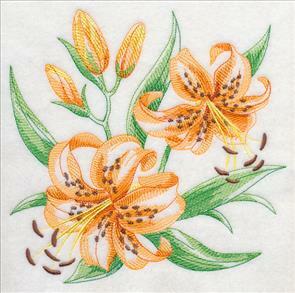 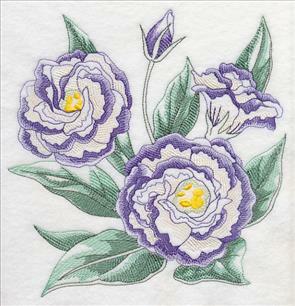 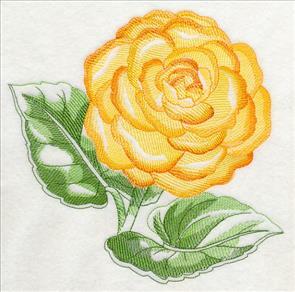 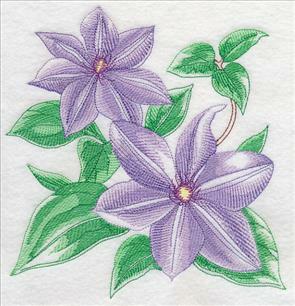 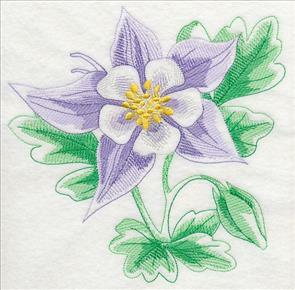 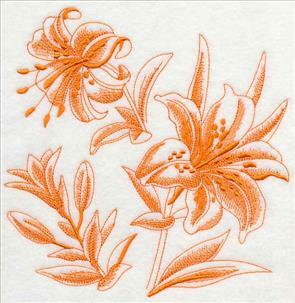 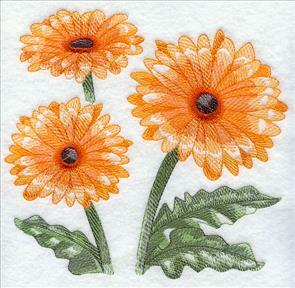 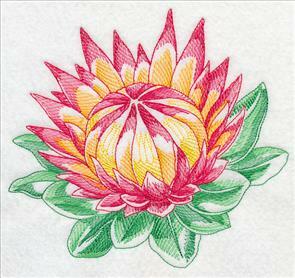 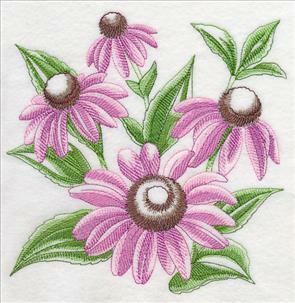 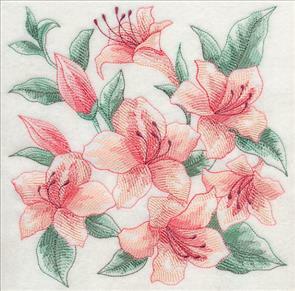 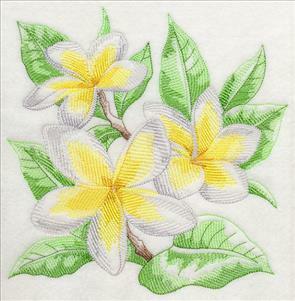 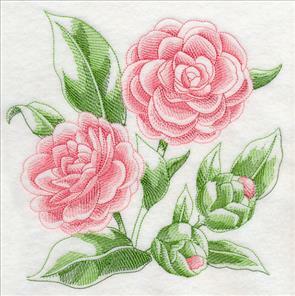 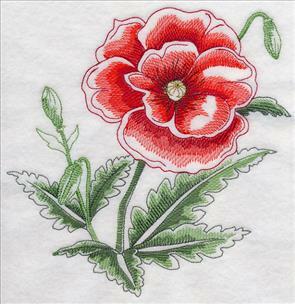 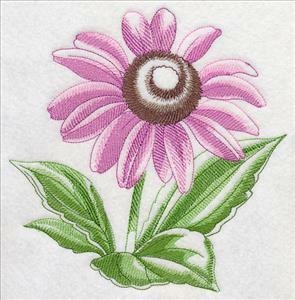 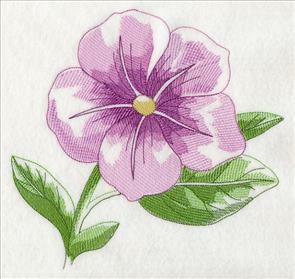 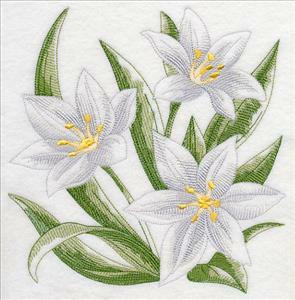 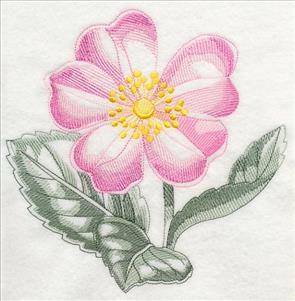 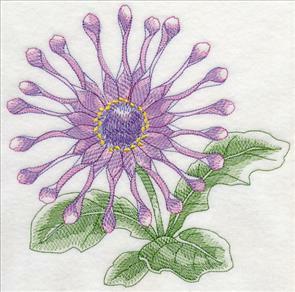 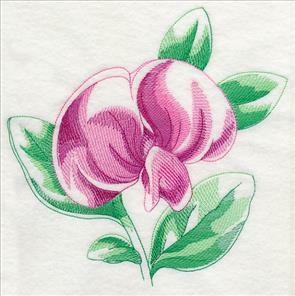 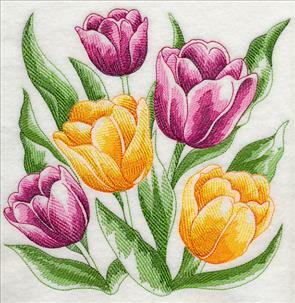 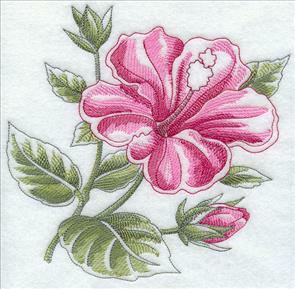 Showcase beautiful summer blooms on your embroidery projects with one of these stunning designs. 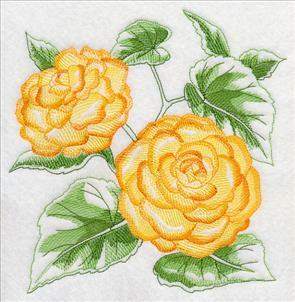 Pick your favorite from these two different flower vase designs, or stitch them together on matching pillows, towels, or placemats. 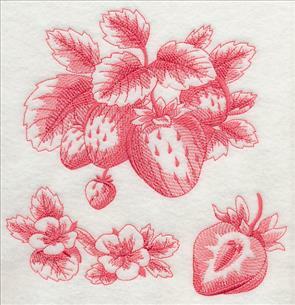 7.53" x 7.79" and 6.88" x 7.12"
6.56" x 7.79" and 5.83" x 6.92" and 4.85" x 5.77"
Light and airy toile is a fabulous way to show off the beauty and depth of blooming flowers. 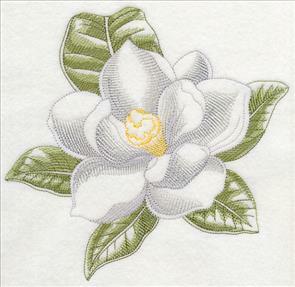 Choose smooth fabrics, such as quilter's cotton, linen, twill, or denim for the best results with these one-color designs. 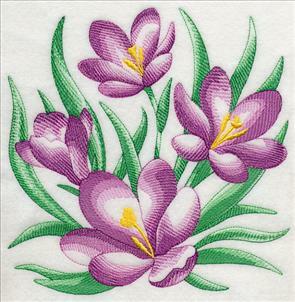 5.35" x 11.71" and 4.29" x 9.38"
5.38" x 11.72" and 4.30" x 9.38"
3.58" x 7.80" and 3.15" x 6.86"
Summer flowers in varying stages of bloom are even more beautiful when stitched as toile designs. 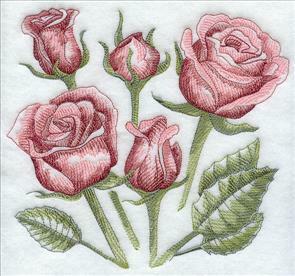 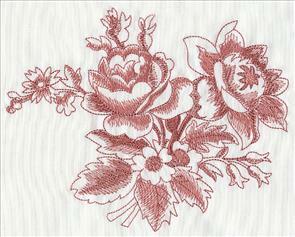 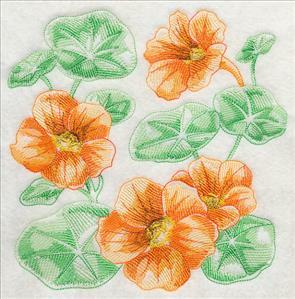 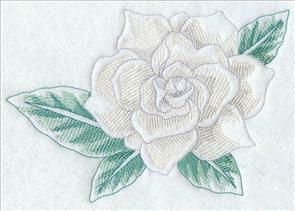 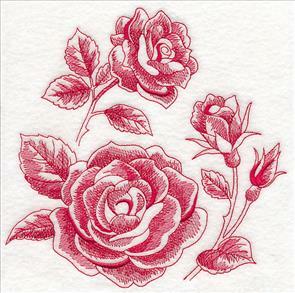 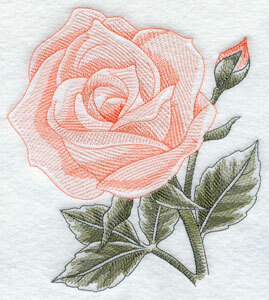 Pick your favorite floral to embroider (like the morning glories and roses shown here). 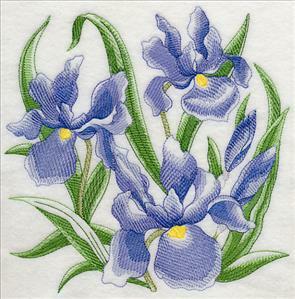 7.78" x 7.77" and 6.89" x 6.87"
5.82" x 5.80" and 4.88" x 4.87"
5.84" x 5.81" and 4.87" x 4.85"
Irises and tiger lilies are brilliant additions to your embroidery projects. 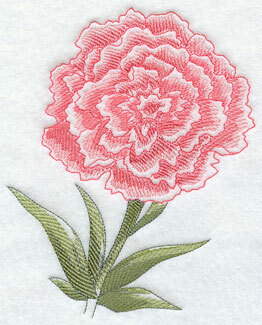 Not only does the toile style add a naturally elegant look, but it also uses just one color thread for ease, too. 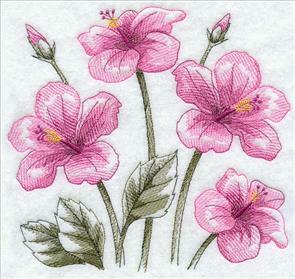 7.80" x 7.75" and 6.95" x 6.90"
7.68" x 7.74" and 6.90" x 6.95"
5.81" x 5.85" and 4.85" x 4.89"
Light and lovely, these hibiscus and clematis designs are delightful stitched on their own or with the rest of the summer botanicals as a collection. 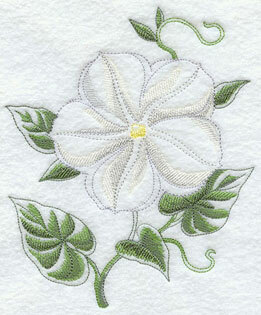 We particularly love the idea of stitching the entire series on quilt blocks for a fresh floral look. 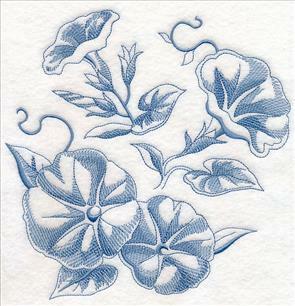 5.83" x 5.85" and 4.83" x 4.85"
7.78" x 7.77" and 6.92" x 6.91"
5.82" x 5.82" and 4.85" x 4.85"
Each of the toile summer flower designs would be a wonderful addition to gardening gear, tote bags, apparel, and more. 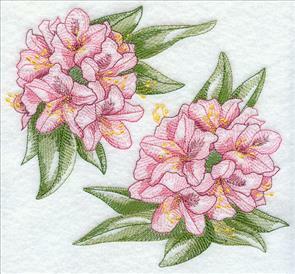 Here petunias and peonies show off their bountiful blooms. 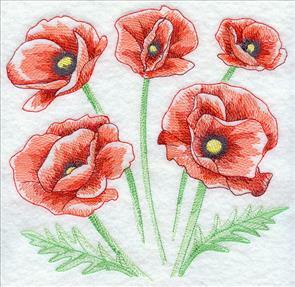 5.84" x 5.80" and 4.84" x 4.81"
Poppies are well known for their cultural symbolism -- not only are they the most common flower for wartime remembrance, but they are also often used as a symbol of sleep and peace, too. 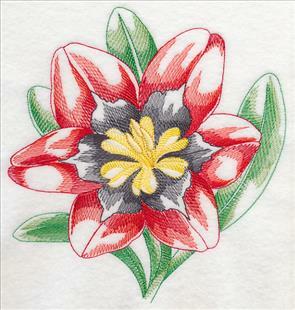 Stitch the brilliant blossom on a variety of projects, from aprons to blankets and more. 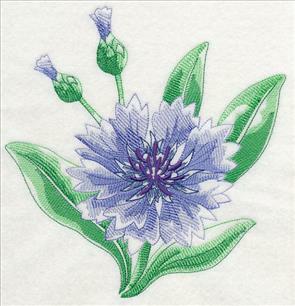 7.80" x 7.80" and 6.90" x 6.90" and 5.84" x 5.84" and 4.84" x 4.84" and 3.84" x 3.84"
Add a quick embellishment to your embroidery projects with light and lively summer botanicals. 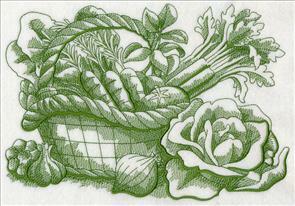 Pick your favorites by using the links above, or get the entire garden in a design pack. 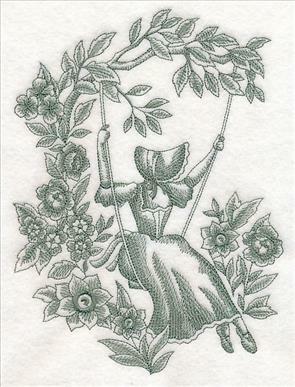 Starting in the 1920s, classic embroidery character Sunbonnet Sue got a big sister. 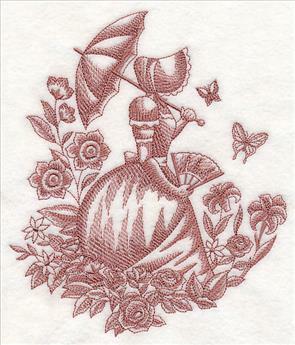 Often known as "Colonial Lady," "Southern Belle," or "Umbrella Girl", she first appeared as embroidery on quilts, bedspreads, and dresser scarves. 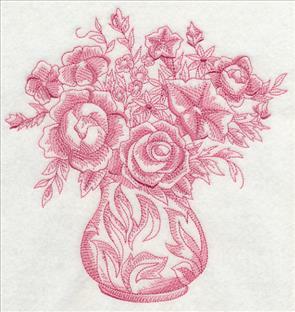 Add the elegant lady to your projects in no time with one of our toile designs below. 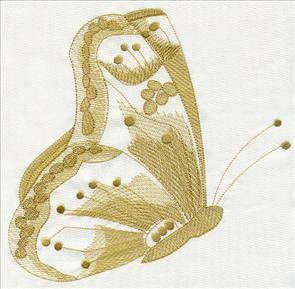 6.88" x 9.06" and 5.86" x 7.72" and 4.86" x 6.41"
Delightful toile butterflies are a quick and easy way to add flair to your embroidery projects, thanks to their use of just one color thread. 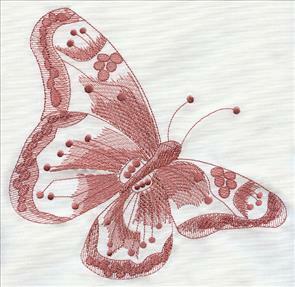 These designs have open areas, so embroider onto smooth, neutral fabrics for the best results. 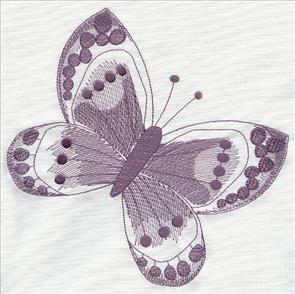 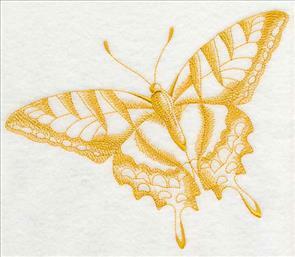 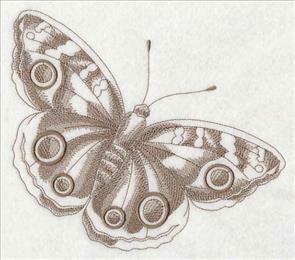 5.54" x 4.85" and 3.85" x 3.37"
Stitch the elegant trio of butterflies onto one project, or use the designs separately. 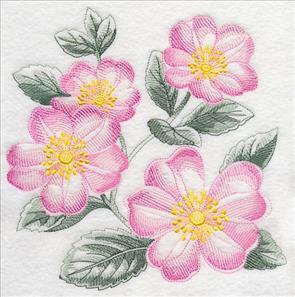 They're terrific on blanket corners, apparel, towels, and more. 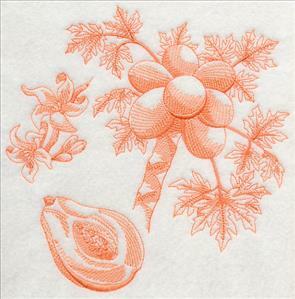 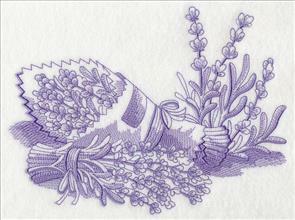 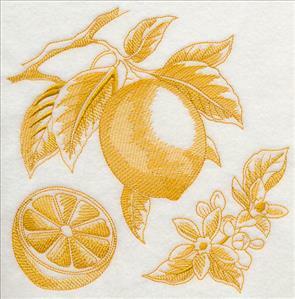 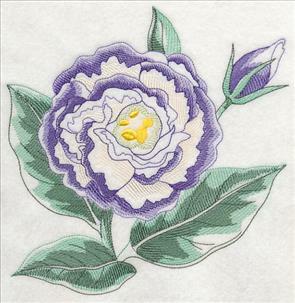 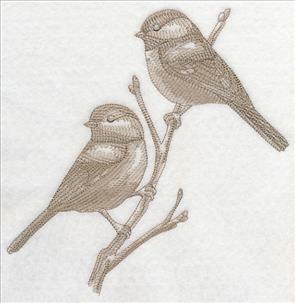 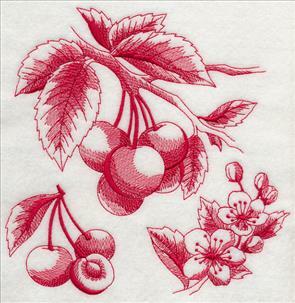 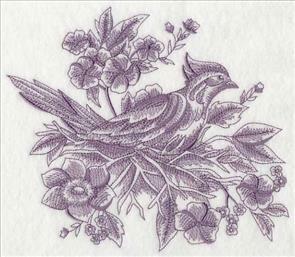 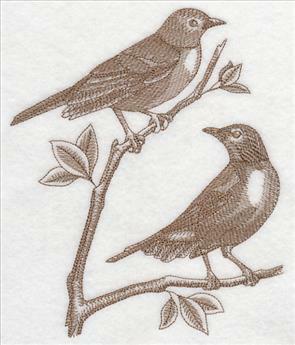 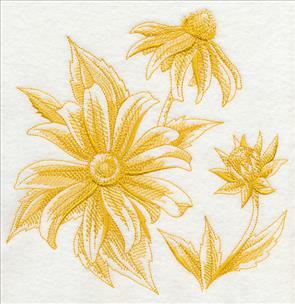 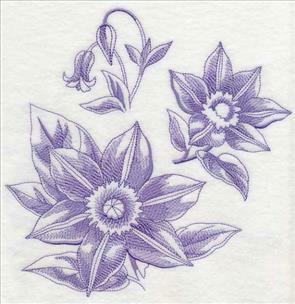 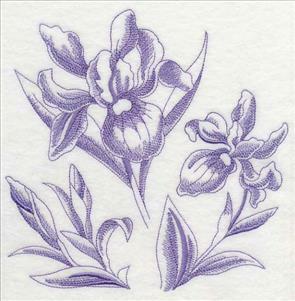 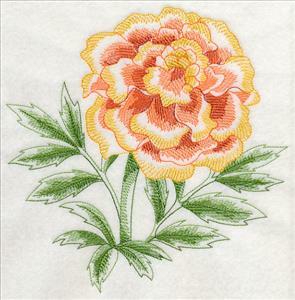 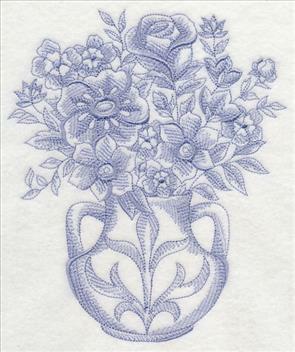 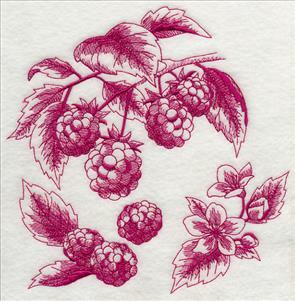 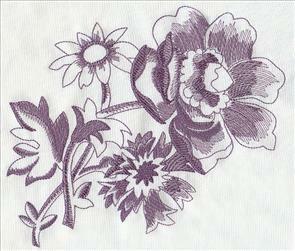 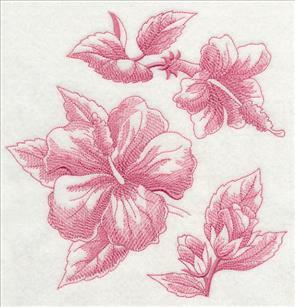 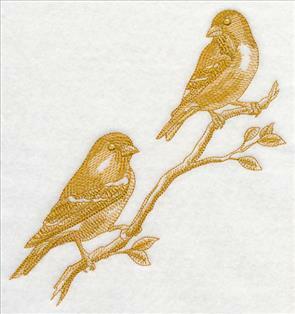 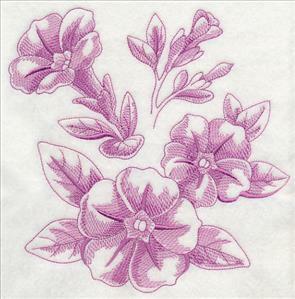 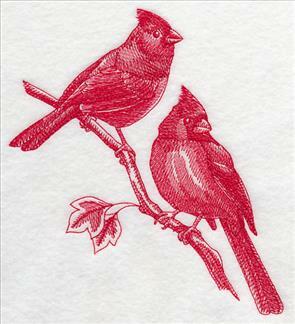 7.81" x 6.44" and 7.11" x 5.85" and 5.90" x 4.86" and 3.86" x 3.18"
Add a fancy, expensive look to your linens without all the fuss with one of these toile embroidery designs. 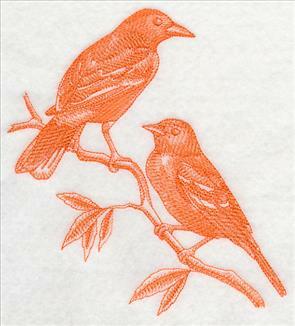 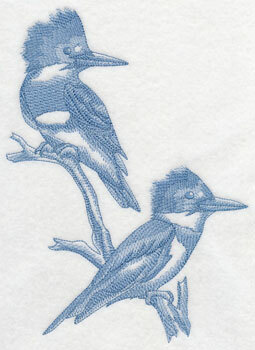 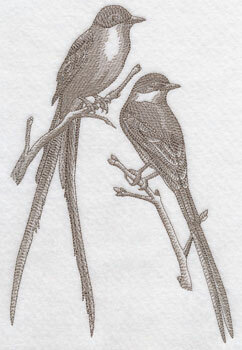 Your guests will never know the birds were so quick to stitch! 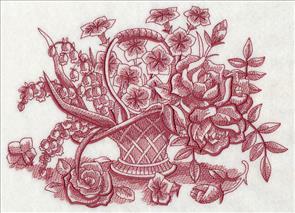 7.78" x 6.86" and 6.63" x 5.85" and 5.50" x 4.85"
Toile designs were originally influenced by fine French couture and home decor. 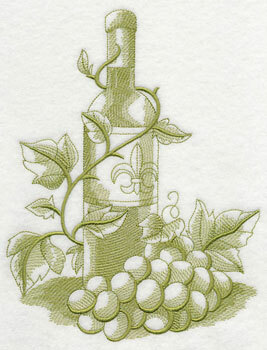 Honor their beginnings with a collection of French market-inspired designs! 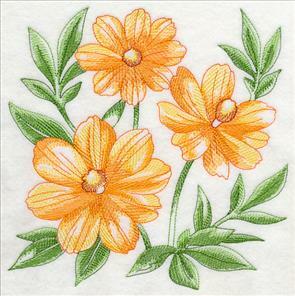 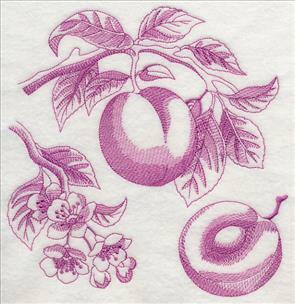 9.21" x 6.90" and 7.74" x 5.84" and 6.45" x 4.85"
Each of these stylish embroidery designs are a fabulous choice when stitching for the kitchen. 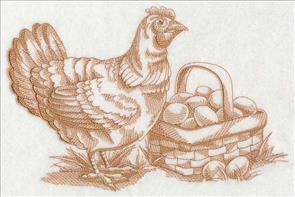 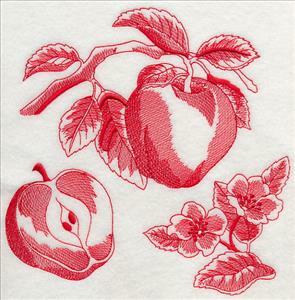 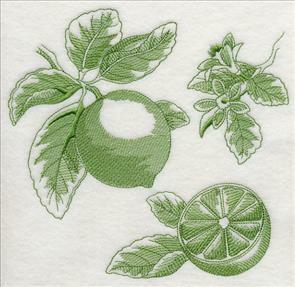 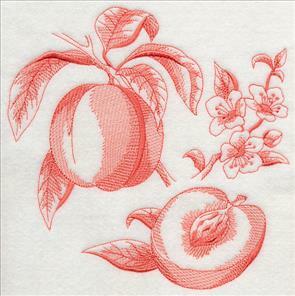 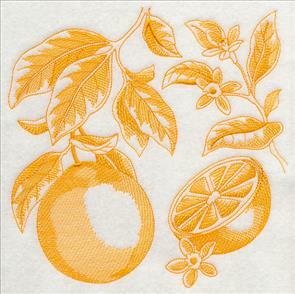 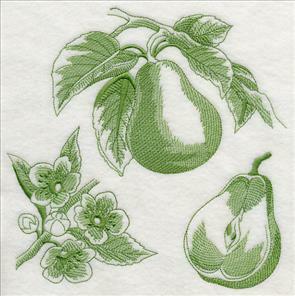 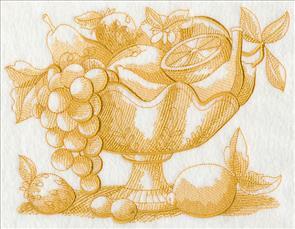 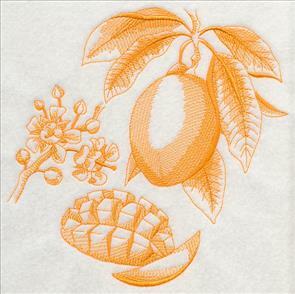 Try the fruit and vegetable designs as matching wall hangings, or as a delightful pair of tea towels. 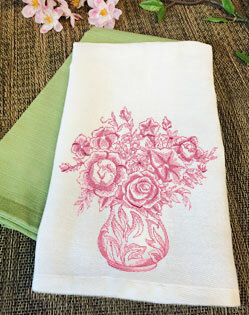 9.87" x 6.90" and 8.37" x 5.85"
9.08" x 6.90" and 7.70" x 5.85" and 6.38" x 4.85"
Create fresh lightweight towels, linens, tote bags, and more with tasteful French-inspired toile designs. 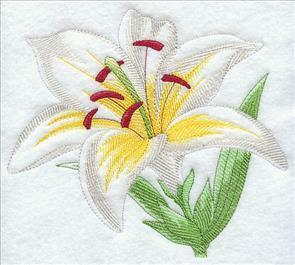 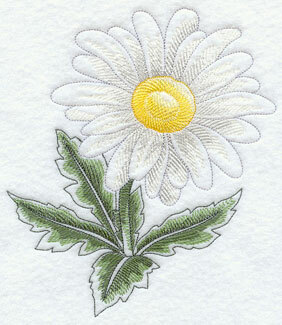 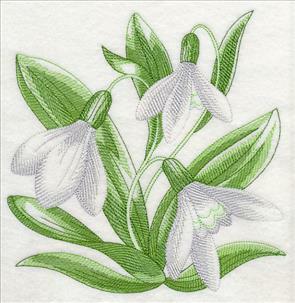 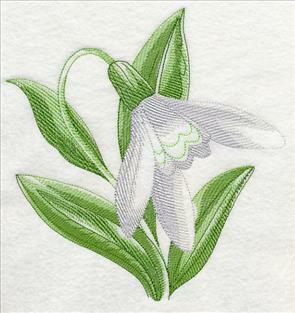 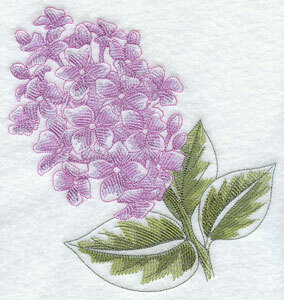 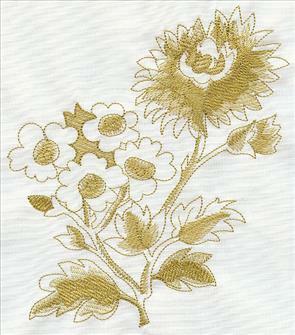 Each of the open and airy designs is a great way to add chic sophistication to your embroidery projects. 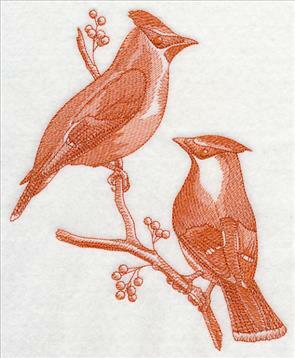 10.40" x 6.89" and 8.85" x 5.86"
7.79" x 5.16" and 6.86" x 4.54"
Not only are the designs above brand new, but they're also terrific additions to our growing collection of toile designs. 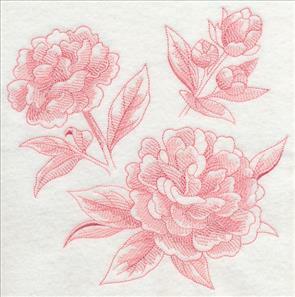 Explore our other toile motifs -- in addition to the new designs, we've put dozens of other terrific toile designs on this page! 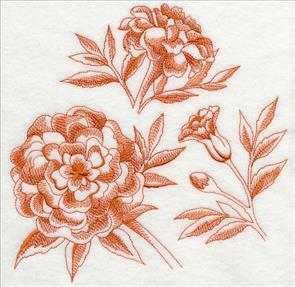 Each of these designs also features the classic light and easy-breezy features of toile, and are fabulous additions to a wide variety of embroidery projects. 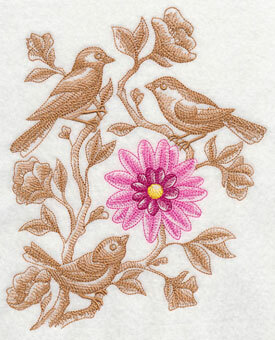 Stitch beautiful birds, flowers, fruit and more! 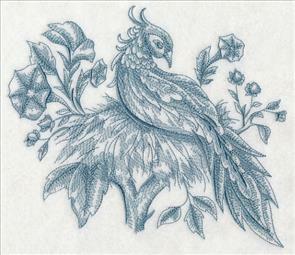 Scroll down to check out the designs. 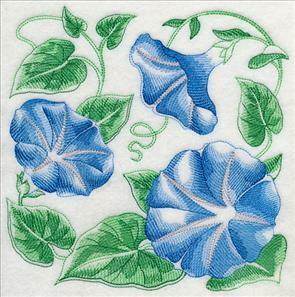 7.80" x 6.93" and 6.58" x 5.85"
7.79" x 6.15" and 7.42" x 5.85"
6.14" x 4.84" and 3.84" x 3.03"
6.69" x 7.80" and 5.85" x 6.82"
6.90" x 7.32" and 5.88" x 6.24" and 4.85" x 5.14"
6.90" x 7.63" and 5.90" x 6.52" and 4.85" x 5.36"
7.80" x 7.85" and 6.90" x 6.95"
5.89" x 5.91" and 4.85" x 4.87"
7.78" x 7.77" and 6.91" x 6.90"
7.77" x 7.79" and 6.88" x 6.90"
7.80" x 7.51" and 6.90" x 6.65"
5.85" x 5.64" and 4.85" x 4.67"
7.78" x 7.79" and 6.90" x 6.90"
5.83" x 5.84" and 4.84" x 4.85"
7.78" x 7.73" and 6.93" x 6.89"
5.92" x 5.89" and 4.88" x 4.86"
5.88" x 5.86" and 4.86" x 4.86"
7.79" x 7.79" and 6.90" x 6.89"
7.76" x 7.79" and 6.89" x 6.92"
7.76" x 7.78" and 6.86" x 6.88"
5.83" x 5.85" and 4.85" x 4.87"
7.79" x 7.15" and 7.52" x 6.90"
6.34" x 5.82" and 5.29" x 4.85"
7.78" x 7.38" and 7.25" x 6.88"
6.18" x 5.86" and 5.12" x 4.86"
7.78" x 7.31" and 7.31" x 6.87"
6.20" x 5.83" and 5.16" x 4.85"
7.77" x 7.42" and 7.20" x 6.88"
6.10" x 5.82" and 5.08" x 4.85"
7.77" x 7.50" and 7.13" x 6.88"
6.10" x 5.89" and 5.06" x 4.89"
7.80" x 7.24" and 7.41" x 6.89"
6.29" x 5.84" and 5.24" x 4.87"
5.87" x 5.88" and 4.85" x 4.86"
7.78" x 7.78" and 6.87" x 6.87"
7.80" x 7.83" and 6.90" x 6.93"
7.80" x 7.84" and 6.90" x 6.93"
7.78" x 7.75" and 6.89" x 6.87"
5.86" x 5.84" and 4.87" x 4.85"
5.87" x 6.00" and 4.85" x 4.96"
5.85" x 5.86" and 4.85" x 4.87"
6.00" x 5.87" and 4.95" x 4.85"
5.89" x 6.13" and 4.89" x 5.08"
5.84" x 5.85" and 4.85" x 4.85"
7.80" x 7.55" and 7.11" x 6.88"
6.06" x 5.85" and 5.01" x 4.85"
7.60" x 7.80" and 6.90" x 7.08"
5.85" x 6.01" and 4.85" x 4.97"
6.88" x 8.12" and 6.61" x 7.80"
5.85" x 6.93" and 4.85" x 5.73"
5.81" x 5.85" and 4.80" x 4.84"
7.80" x 6.83" and 6.70" x 5.89"
5.49" x 4.85" and 3.85" x 3.39"
6.58" x 7.78" and 5.82" x 6.86"
4.85" x 5.69" and 3.30" x 3.85"
8.79" x 5.85" and 7.78" x 5.16"
7.64" x 5.85" and 6.31" x 4.85" and 3.85" x 2.96"
7.79" x 6.97" and 6.55" x 5.86"
7.20" x 7.80" and 5.85" x 6.36"
4.85" x 5.26" and 3.54" x 3.85"
6.70" x 7.80" and 5.83" x 6.78"
5.83" x 7.45" and 4.84" x 6.16" and 2.98" x 3.85"
7.80" x 5.78" and 6.58" x 4.85" and 3.85" x 2.87"
6.69" x 7.83" and 6.40" x 7.50"
5.85" x 6.85" and 4.85" x 5.68"
5.85" x 6.11" and 4.85" x 5.06"
7.78" x 7.70" and 6.95" x 6.88"
5.91" x 5.85" and 4.90" x 4.86"
7.49" x 7.78" and 6.88" x 7.14"
5.85" x 6.07" and 4.86" x 5.04"
7.78" x 7.51" and 7.13" x 6.88"
7.75" x 7.79" and 6.88" x 6.92"
5.85" x 5.88" and 4.86" x 4.88"
7.65" x 7.78" and 6.88" x 7.00"
5.83" x 5.93" and 4.84" x 4.92"
7.75" x 7.80" and 6.90" x 6.94"
7.80" x 7.50" and 7.17" x 6.90"
7.80" x 7.62" and 7.06" x 6.90"
5.99" x 5.85" and 4.96" x 4.85"
7.44" x 7.77" and 6.88" x 7.19"
5.84" x 6.11" and 4.85" x 5.07"
7.65" x 7.80" and 6.90" x 7.04"
7.37" x 7.78" and 6.87" x 7.26"
5.84" x 6.17" and 4.85" x 5.12"
7.78" x 7.60" and 7.04" x 6.88"
7.63" x 7.78" and 6.88" x 7.01"
5.86" x 5.97" and 4.86" x 4.96"
7.50" x 6.90" and 6.36" x 5.85"
5.27" x 4.85" and 3.85" x 3.54"
7.36" x 7.80" and 6.90" x 7.31" and 5.85" x 6.19" and 4.85" x 5.13" and 3.67" x 3.89"